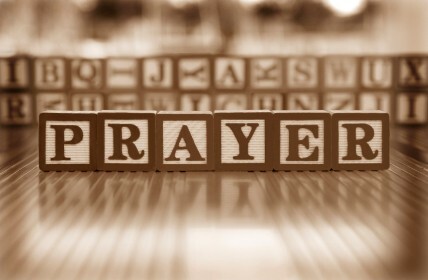 As I posted on one of my blog pages, my word for 2011 is SEEK. I have no idea where the whole idea of a word for the year, as opposed to resolutions, came from. I was listening to KLOVE and they were talking about it. So, I prayed about it and that word kept being put on my heart, SEEK. Last year was one of a broken heart in January when the hubby decided he wanted a divorce, to the rest of the year spent mourning the loss of what I believed was a good marriage. I started finding out who I was, and more importantly who I was not. Shedding a sinful lifestyle and heading back down the road to my Father’s house as a prodigal child that grew weary of living in the pig sty, I have gone back to my church family, back to solid teaching of God’s Word. My mourning stage is past me now, and I even wrote my ex-husband a letter on my other page as part of the 30 Day Letter Writing Challenge. I’m certain he’ll see it if not at least hear about it, as some nosey and questionable friend well meaning soul will tell him that his ex-wife wrote about him again. It took a lot to sit down and look at things objectively and hopefully he will know it is sincere. Either way it is water under the bridge. Now my life is one of focusing on a deeper relationship with my Savior. SEEK in this case is indeed the perfect word. There is no doubt in my heart that the Lord wants me to seek HIM, first and foremost, above and before all else. Coming out of the sinful, dark places I was in means I need to be focused on the Lord right now. It is why for 2011, while I seek HIM, I am not going to even consider dating. My life has plenty going on, and I need to be focused on me and my relationship with God. Not to worry, Mr. Wonderful and I are still friends, and only God knows what is in store of us. Right now we have a very special friendship where we can talk about the Bible, our faith, and our walks. We care about each other, and pray for each other, and down the road we’ll know if we belong together or not. But right now we’re both a big mess that needs the Master’s hands to fix and that is where we both are focusing. In the journey this year of seeking I have goals of being at church a much as possible. Sunday mornings for Sunday School and worship service, Sunday evenings, and when the week isn’t too hectic I’ll be there Wednesday evenings as well. My desire is to get back into Women’s Outreach at some point too. But I have to be careful, I tend to over commit and that won’t do any good. 7And he from within will answer, Do not disturb me; the door is now closed, and my children are with me in bed; I cannot get up and supply you [with anything]? 8I tell you, although he will not get up and supply him anything because he is his friend, yet because of his shameless persistence and insistence he will get up and give him as much as he needs. 9So I say to you, Ask and [a]keep on asking and it shall be given you; seek and [b]keep on seeking and you shall find; knock and [c]keep on knocking and the door shall be opened to you. 10For everyone who asks and [d]keeps on asking receives; and he who seeks and [e]keeps on seeking finds; and to him who knocks and [f]keeps on knocking, the door shall be opened. 11What father among you, if his son asks for [g]a loaf of bread, will give him a stone; or if he asks for a fish, will instead of a fish give him a serpent? 13If you then, evil as you are, know how to give good gifts [gifts [h]that are to their advantage] to your children, how much more will your heavenly Father give the Holy Spirit to those who ask and [i]continue to ask Him! So seek I will….pounding at the door, digging through God’s Word, praying and praying again, knowing that my Father in heaven will hear and answer me. “Keep on seeking and you shall find”….It is HIM that I seek, Him, His forgiveness, His mercy, His love, His guidance, His wisdom for my life, His direction for my life, I seek to follow Him, please Him.